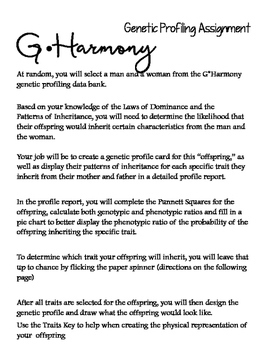 At random, you will select a man and a woman from the G*Harmony genetic profiling data bank. 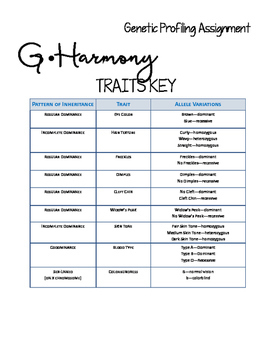 Based on your knowledge of the Laws of Dominance and the Patterns of Inheritance, you will need to determine the likelihood that their offspring would inherit certain characteristics from the man and the woman. 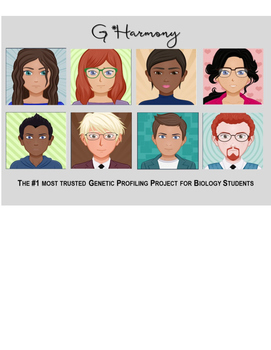 Your job will be to create a genetic profile card for this “offspring,” as well as display their patterns of inheritance for each specific trait they inherit from their mother and father in a detailed profile report. 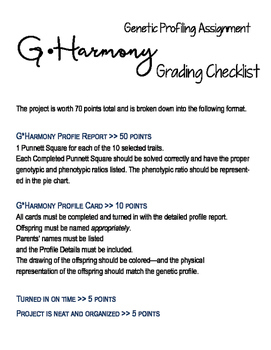 In the profile report, you will complete the Punnett Squares for the offspring, calculate both genotypic and phenotypic ratios and fill in a pie chart to better display the phenotypic ratio of the probability of the offspring inheriting the specific trait.